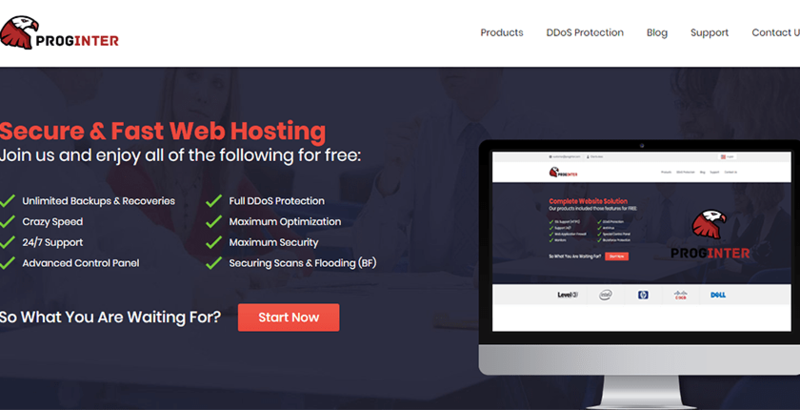 Proginter Review 2019: Is Proginter a Good Hosting? Proginter is an Israeli-based shared hosting provider that offers superior DDoS protection on all servers. While their features are relatively impressive, larger websites might run into problems due to limited storage. Proginter is an Israeli based hosting company with shared hosting servers in the U.K. They offer superior protection for website owners with multi-layer DDoS protection. Their features are superior to many shared hosting services, provided you can overlook the lack of storage offered. You seldom see DDoS protection offered at all, much less as a feature on all plans. I also like that you get unlimited SSL certificates for your sites. If you want to run an E-commerce shop, these are essential, and most hosting providers charge for them. Cron jobs and PHP support gives you greater control over your site and your site’s design. Proginter’s product isn’t the most straightforward setup. Signing up is a bit confusing as they don’t give you a direct option to pay at setup but instead set up an invoice you have to pay manually. That’s a hoop jump that is somewhat unnecessary. Once you finally pay, things get a little easier as they offer a one-click installer for WordPress, Joomla, and other CRM software. Beyond that, you will need to have a little bit of web design knowledge to use the product. Their cPanel is easy to use, but they don’t offer a point and click web builder. This site is better suited for those with some basic web design knowledge, but beginners can get by if they are using the one-click install. Proginter offers four paid hosting plans which have the same base features. The only differences between the plans are storage, bandwidth, and the numbers of domains you can host, as outlined below. The main issue I see with this plan is storage. Websites requiring sizable databases, or that host a lot of products or media are going to have storage problems. A lot of bandwidth is great, but if your storage is limited, your site is going to be limited. I am somewhat disappointed in Proginter’s support. They don’t offer live phone or chat support, and their FAQ section is inadequate. First, it is not configured correctly, and about half of the limited number of questions offered instruct you to open a ticket. Otherwise, your only support is via email or an online form. The one positive point I can report on is that they did respond to my email inquiry in about three hours. While it is great that they replied, most people don’t want to have to wait three hours for help. Overall, Proginter has some impressive features including their advanced DDoS protection. However, sites with more substantial storage needs will not find this host suitable. Proginter needs to upgrade both their available storage and their customer support before they can be considered a truly viable hosting service. Wondering how Proginter stacks up against other Web Hosting companies? Enter any other Web Hosting company and we will give you a side-by-side comparison.